Vehicles on Kelly Drive in East Falls. It was a bad first six months of the year for Pennsylvania motorists. According to new data released Wednesday by the National Safety Council, Pennsylvania's motor-vehicle deaths in the first six months of 2018 increased by 10 percent from the same period in 2017, tied for the third-largest jump in the country with Nevada. The statistics the NSC uses are provided by data reporters in each state. Only Oklahoma (14 percent) and South Dakota (a staggering 97 percent) saw larger year-over-year increases. South Dakota jumped from 32 motor-vehicle deaths in the first six months of 2017 to 63 in 2018. In terms of sheer volume, Pennsylvania ranks sixth in the country in total motor-vehicle deaths in the first six months of the year with 591, which seems about right, considering the state is the fifth-most populous state in the country according to estimates from the U.S. Census Bureau. 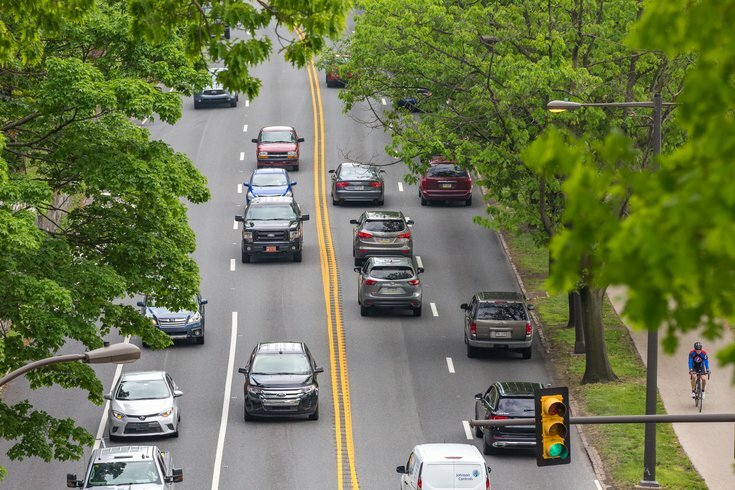 Pennsylvania’s sharp increase is a reversal of the way it was trending in 2017, when the state actually saw 30 fewer motor-vehicle deaths than in the first six months of 2016. New Jersey has seen its motor-vehicle deaths in the first six months decrease for two straight years, from 272 in 2016 to 269 in 2017, and now 261 in 2018. As far as the entire country is concerned, total motor-vehicle deaths for all 50 states and the District of Columbia are down from last year…by less than 0.5 percent – from 18,770 to 18,720.